Between the mushy food, the fancy clothes and all that grown-up talk at the table, Thanksgiving can be a source of stress for a lot of kids . One way to overcome this is to give kids control over as many aspects of the holiday as is reasonable. 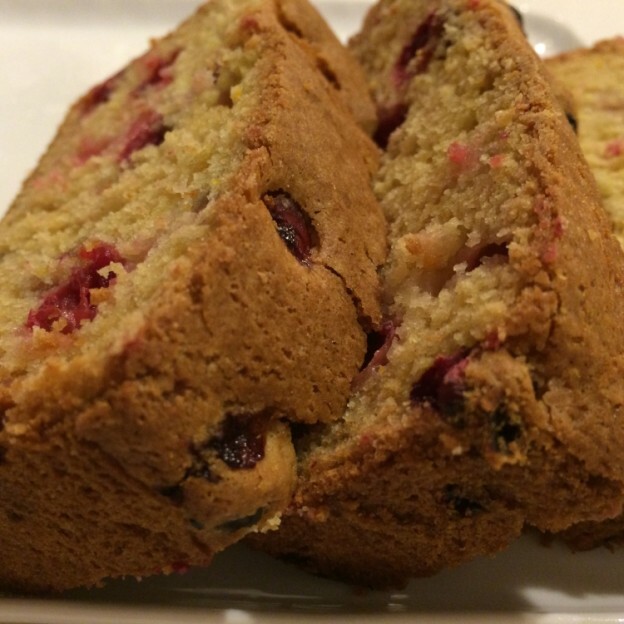 When I was a kid, my family put me in charge of a very important thing: the cranberry bread. Every year, my wonderful sister and mother read the classic “Cranberry Thanksgiving” by Wende and Harry Devlin with me. It’s a picture book for school-aged kids, one of those quiet books from the 1970’s, with gorgeous illustrations. 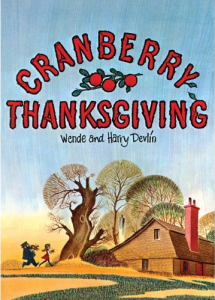 The plot centers around a world-famous secret cranberry bread recipe, which is published for the reader in the last pages (and on Amazon’s Look Inside). Every year I made that “secret” recipe. Every year, I had at least one not-mushy thing to eat. Every year, I had a tiny but important amount of control at an otherwise stressful event. Now that I’m older, I’ve passed the “secret” recipe down to the kids in my family. However, with food allergies rampant, not everybody in our family can eat those old mainstream recipes anymore. So, I’ve adapted it to be more allergy-friendly. Put flours, sugar, baking powder, salt, baking soda and xanthan gum in a stand mixer. Mix. Cut in butter and mix until crumbly. Add egg, orange juice and rind all at once. Mix until just combined. Spoon into 9x5x3inch greased pan. Bake for 1 hour and 10 minutes. Remove from pan, cool on wire rack. This entry was posted in Uncategorized and tagged cranberry bread, Cranberry Thanksgiving, Cybele Pascal, dairy-free, gluten-free, Wende and Harry Devlin on November 5, 2013 by admin.